When preparing to launch your next project, you will most likely require a set of 3D renders for marketing. In this article, we take a look at 5 tips and tricks to give your marketing imagery the edge it needs over your competitors. Prior to starting a new 3D project, its advised you gather as much information as possible, so that the 3D studio your working with has a strong understanding of your brand and marketing identity. This doesn't need to be a laborious process, however the time put in at the start by all parties will ensure a smooth and stress free experience. The following image is a style concept guide we would normally receive from a client prior to starting the CGI's. It highlights the clients brand direction which would be carried through to each 3D render. Having a clear understanding of your target audience prior to undertaking a 3D project, would have to be one of the most important steps of the CGI process. Is your next project the cool inner city development targeted to young professionals, or is it the coastline location with its panoramic views that will appeal to downsizers and retirees. Knowing the answer to these questions will greatly assist your 3D studio and help to nail the brief, so that you end up with the desired results that appeal directly to your target audience. Be sure to check the 3D studio your working with has strong examples of targeted 3D marketing renders from a wide ranging portfolio. It might seem like a no brainier, but its important to make sure you have as much of the project designed as possible before undertaking a 3D project. Often delays come down to having incomplete architectural drawings, or from significant changes having to be made to the design mid way through the 3D rendering process. Okay, so you have that penthouse suite and your wanting to fit as much detail into the one 3D render as possible. Sure this can be done, and with the magic of 3D software we can use a wide angle camera lens to achieve just that. Another great alternative which has become extremely popular over the past few years, especially with project marketing, is the rise of the 'vignette' or close up render. These types of shots when done properly can achieve huge results and engage an audience by drawing them into the space creating an emotional connection to the project. By getting up close to a subject we get to see those finer details that you don't necessarily see in a full room 3D render. 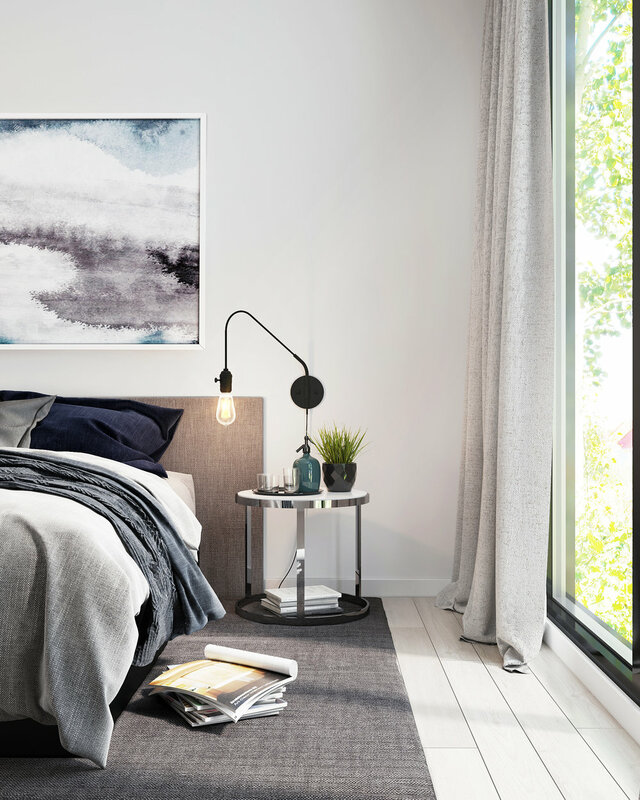 It may be framing that fine art piece and designer arm chair, or drawing on that relaxed Sunday morning vibe in a master bedroom. The aim with these shots is to build up a story that fits in with your brand identity, ending up with a wide variety of close up renders which can not only prove cost effective, but incredibly useful for re-using on other projects and even social media. Having a high quality 3D render is great, however you may be missing out on targeted audience engagement if your render lacks up to date styling and overall direction. These days almost any artist can achieve a decent level of quality from 3D software, however one thing that cant be purchased is an eye for creativity and design. Make sure you engage a 3D studio that has a strong understanding of design trends, furniture styling and an overall eye for detail, as this will help achieve images that engage people emotionally. This 3D render was styled by the team at Visform, keeping in line with the clients overall brand direction.